The UK’s employment rate continues to reach record highs. But while the majority of jobs added in recent years have been full-time employee roles, much attention has rightly been paid to less standard arrangements. Zero-hours contracts (ZHCs), self-employment and the gig economy have been the cause of much concern over the past decade, along with short-hour contracts, part-time employment, temporary positions and agency work. Different aspects of these non-standard working patterns have sparked debate, with questions over whether the rights such workers are entitled to are being consistently upheld. But perhaps the most discussed consideration, particularly in relation to ZHCs, is the lack of certainty around income. While the way in which such contracts are managed varies widely across the economy, the defining feature of ZHCs is that an employer does not guarantee any minimum amount of work or wages. This shifts risk from the employer to the worker, potentially allowing an employer to offer or cancel shifts at late notice, penalise a worker for refusing such work and use the potential of additional hours as a management tool. This potential imbalance was noted by the Taylor Review of modern employment practices, commissioned by the government in 2016 to evaluate how the world of work had changed and what responses were needed. 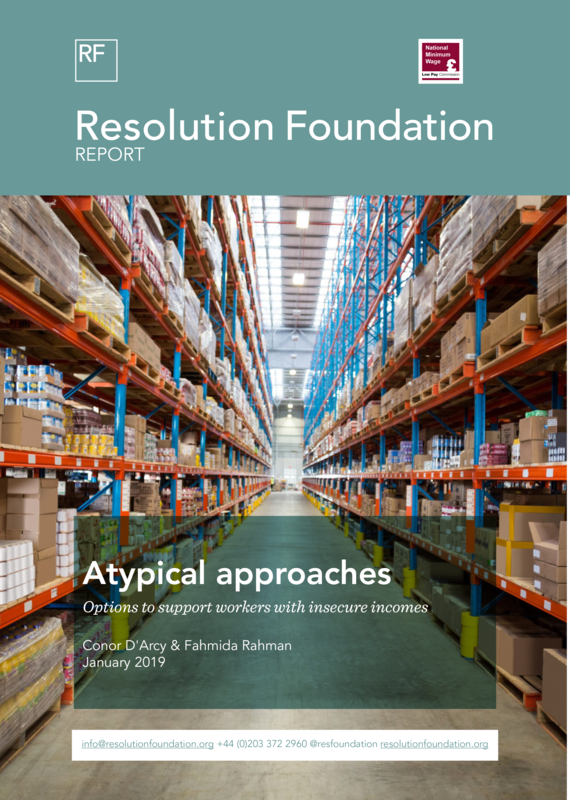 A recurring theme in the Review was that while flexibility is one of the strengths of the UK’s labour market, in some employer-worker relationships this flexibility looks one-sided. The Taylor Review made a number of recommendations to improve the fairness and quality of work, including a right for those on ZHCs to request a fixed-hours contract. But the Review also explored another policy: a wage premium for non-guaranteed hours (NGHs). This was intended to address the issue of insecure income that can arise from a reliance on work with no or a low number of hours guaranteed each week. Placing a premium on NGHs would therefore act as an incentive to employers to offer more hours on a guaranteed basis or, at a minimum, compensate employees working NGHs for the added risk they bear. Other studies being conducted by and for the Low Pay Commission explore the potential design and impact of this policy proposal in more depth. But along with that research, the government’s response to the Taylor Review also requested that the Low Pay Commission explore alternatives, with a focus on how other countries seek to achieve that goal of preserving flexibility but limiting one-sidedness, particularly in relation to NGHs. Here, we explore the extent to which these issues have emerged outside the UK, and the policy responses to them, examining the effectiveness of these responses and considering what lessons UK policy makers should learn. While definitions and experiences vary, non-standard work has become more common since the financial crisis in many countries. The share of employees in involuntary part-time and temporary work remains elevated compared to the pre-crisis period in many economies. This is particularly true among those worst affected in the years following 2007-08, with Italy and Greece witnessing significant increases in insecure work. Restrictions on non-guaranteed hours are the most used tools to prevent income insecurity but raising the cost of such work also features. France and Norway are prominent examples of the former, Australia is an example of the latter. While a range of policies are in place in different countries, the response from employers is not easy to predict with enforcement a key variable. Whichever steps are taken next in the UK, a clear sense of the aims and a commitment to enforcement and monitoring will boost the odds of success.